More fittings certainly doesn't equate a better outcome. However, 2 fittings for a first commission seems like a reasonably sound approach. I've had an Instafame tailor perform many fittings on a first commission (more than 3) but the outcome was still short on several aspects. 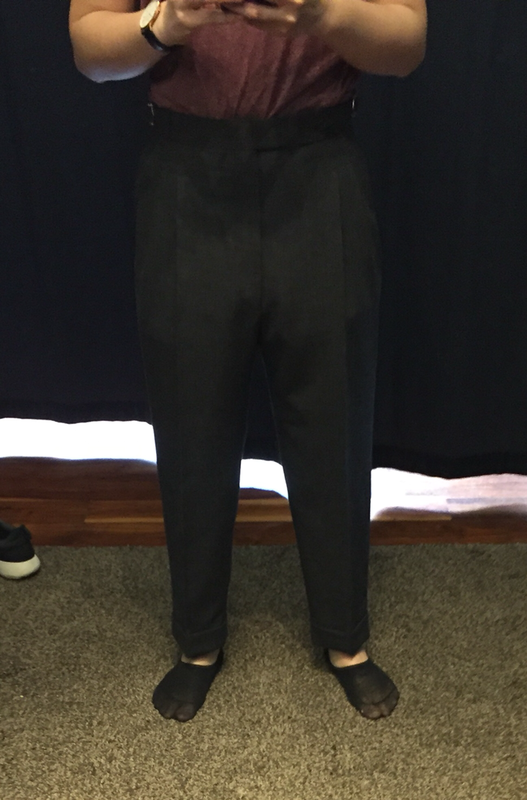 I've come to my own conclusion that if the tailor can't get it right in a couple of fittings, it is unlikely that a total of 5-6 fittings would improve the outcome. Just my opinion, and I mean no offense, but I am not a fan of the chest that this maker cuts. It looks much too full and the drape falls far too low for my liking. The back and shoulders on the other hand look lovely. With that said, I hope you enjoy the jacket. Just received a pair of bespoke trousers. Some of my friends think that it is too baggy, some don't. What do you think about the fit and the overall appearance? and below the pocket and towards the seat. My tailor has suggested besom pockets away from the seam for my new suit trousers to avoid the pocket flare that I sometimes encounter. Is there any strong stylistic reason that I am unaware of why this would be an unfortunate decision? It covers the seat, but yes, I might still have it slightly lengthened (yup, I have weirdly long legs). I know there are special generic Q & A threads on SF but I thought the regulars here might be better suited to helping me out. I'm considering getting my first 'proper' bespoke suit soon. I've been getting MTM for the past few years, mostly from PJohnson. I see a lot of talk about tailors having different 'blocks' and house styles. I can tell even from MTM there are some suits I have that I think look much nicer on me than others even if the fit is fine on all of them. I can tell enough to see there is a difference in style but not enough to articulate what that is that I think suits me. Unfortunately I am a pretty hefty fellow (6"2, 115~120kg, barrel chest, keg stomach). I can look at the various display fit pics for the tailors I am interested in but of course they all involve models or at least normal sized people and I have difficulty imaging how the style would look on someone twice their size. Basically I am concerned that perhaps some tailors' house style may not suit me and I am not sure how to tell. Should this be a concern? 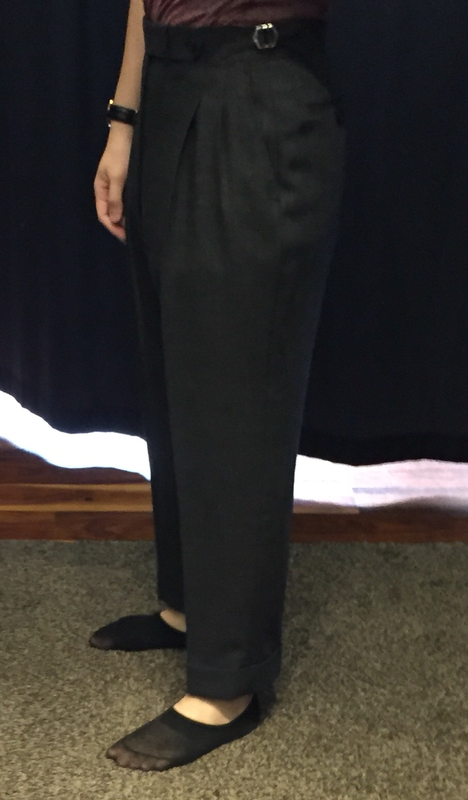 If so how would one suggest I best go about selecting an appropriate tailor? I don’t do bespoke, but if you are not familiar with Ethan Newton I would suggest you check him out. He’s a bigger guy who looks great in his bespoke suits. Maybe he could give some inspiration? I used to be pretty big (92kg vs 71kg now) and I remember people throwing around a lot of rules for this or that body type. What I realized though was that everyone has different ideas about what looks right and what style they prefer, so I would advise against relying on these ideas to much. This is pretty much the million dollar question, both in ready to wear and bespoke. Except in bespoke, you cant put things back on the rack if you decide you don't like how the garment looks on you. I don't think there's any real substitute for just trying a tailor, unfortunately. There are better and worse ways of going about it. If you find off-the-rack suits that you like, try to think about the jacket's overall shape. Tailored jackets can come in a variety of silhouettes. Broadly speaking, they can be X, Y, A, or I. They can be widening or lengthening, angular or rounded. A lot of this is about the jacket's expression around the shoulders -- you can have wider or narrower shoulders, structured or softer shoulders, and so forth. There's also the shape of the chest, skirt, and quarters. Waist can be more or less nipped on any jacket, but the others are harder to change. The best you can do is try to figure out what kind of silhouette suits you. Style details like pockets can be changed, but it's hard to force a tailor to create a new silhouette. You can adjust it on the margins, but they're still going to be in the neighborhood of each other. But in the end, there's still nothing that replaces trying out a tailor. I think that's the hidden cost of bespoke that a lot of people don't talk about. Not only are the individual garments expensive, it can be expensive to find the right tailor. And sometimes even when you find that right tailor, you might choose a bad cloth. You just have to be willing to experiment and, frankly, spend a bit of money. Maybe start with looking at the suits you own. Figure out what kind of shapes look better on you (ignore things like cloth and minor stylistic details, focus on shape and silhouette). And think about what kind of shapes don't look good on you. Then try to find tailors who can do the shapes you like. Took some pictures of 1 out of 2 or 3 still full bespoke tailors in Stockholm. A.W Bauer is one of the oldest and located in the central of Stockholm. Now headed by Frederik and Martin both trained on Savile Row before committing to this old house. I regularly use them for trousers. Trousers in the making for myself. A heavy cotton twill. A jacket in the making. A rather particular fabric. Can't remember the maker though. It had the feel of silk but it's wool. Also it's delicate and apparently not a favorite amongst the tailors. I could not agree more with what's said above, particularly regarding "hidden costs" and thinking about silhouettes that "don't look good on you".